If you live in a colder climate where temperatures often drop below freezing, it can be difficult to keep your home energy efficient. 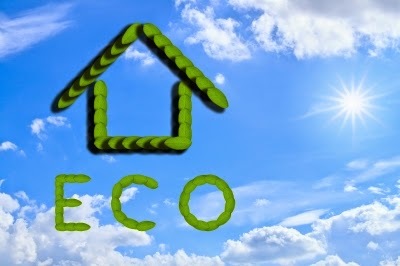 Wasting energy wastes money and isn't an ECO friendly way to live. Use these tips to help improve the energy efficiency of your home. Drafts are places in your home where cold air from outside can get in. The older and less insulated your home is, the colder your home will be. Drafts are most common around doors and windows. Attics, basements and garages also allow heat to escape. Seal your windows and install double pain glass if you don't already have it. Put a rolled up towel at the bottom of all exterior doors where drafts are most likely. Change your furnace air filters on a regular basis. 3M furnace filters or forced air filters that are regularly maintained will help prevent wasted heat. When the filter gets clogged with dirt and debris, the warm air can't get through. Windows can work for you or against you. When it's cold at night, it's best to cover your windows completely with insulated curtains. However, during the day when the sunlight comes through, keep the curtains open. Even when it's cold outside, the sun can bring a significant amount of heat. Depending on which direction your windows face, keep them open in the morning or afternoon. If your home has mostly wood or tile flooring, cover as much of it as possible. Tile doesn't insulate your floor, and wood floors can often let drafts through. If possible, adding carpet wall to wall will make the biggest difference. If you enjoy the look of your wood or tile flooring, add area rugs and runners from room to room. This seems like a no-brainer, but it's something that can be overlooked. Lowering your thermostat will prevent the heat from kicking on at unnecessary times. Don't forget to turn it down lower when you go to work during the day. Don't turn it off if it's expected to get cold enough to cause damage to your pipes or home. Whether the winter lasts for a couple months or half the year where you live, the added cost of heat can be painful. Be mindful of your heat consumption, and prepare your home before the cold takes over.